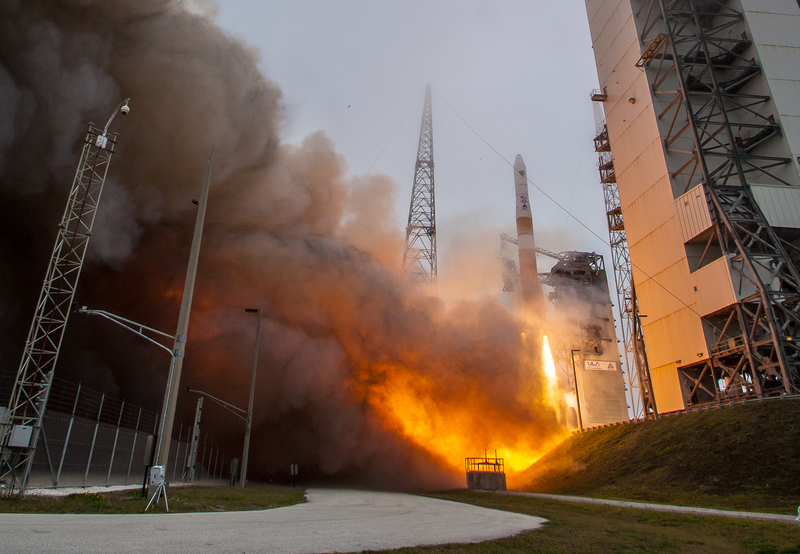 March 27, 2015 – After the successful launch of the U.S. Air Force’s latest GPS IIF satellite by United Launch Alliance on March 25, the work began to maneuver the space vehicle toward earth and begin providing position and timing signals to billions of people world-wide. Behind-the-scenes activity of operating satellites often goes unnoticed against the sound and fury of the rocket that puts it in space, but the launch is just one brief chapter of the story. Once the satellite leaves the booster, Reserve Airmen of the 310th Space Wing at Schriever Air Force Base in Colorado take over. Citizen Airmen of the 19 SOPS surged for the launch and early checkout of the GPS space vehicle. Day-to-day, the 19 SOPS augments active-duty operation of the GPS constellation performed by 2 SOPS. After the final checkout requirements are complete, satellite control authority is transferred from the Space and Missile Systems Center to 2 SOPS. The Block IIF satellite will soon begin its mission, joining the 38 satellite GPS constellation to enable reliable, accurate timing and position to military and civilian users. The GPS is the world’s largest military satellite constellation. GPS IIF-9 is the ninth in a series of next generation GPS satellites and will join the GPS worldwide timing and navigation system utilizing 24 satellites in six different planes, with a minimum of four satellites per plane positioned in orbit approximately 11,000 miles above the Earth’s surface. The GPS IIF series provides improved accuracy and enhanced performance for GPS users.